For the life of me, I can never remember how to make international calls from within the campus phone system. All those extra digits, when to enter my code, not sure if I am hearing a busy signal, ringing, or something else--it's just confusing. So when I needed to get some help with my Internet reservation for a hotel in Bath, England, I used Skype to call the number and it worked flawlessly. And I saved Choate a few bucks on an international toll call, too. I'm surprised this doesn't happen to me more often: my "in box" on the Choate e-mail system hit its limit today, preventing new messages from getting to me for a few hours. I guess that's what happens with literally thousands of messages clogging my account. I really have to whittle this down by filing what's there and getting my "in box" to zero each day. A good goal for the spring term. I caught a little bit of the ceremonies honoring Billie Jean King in Madison Square Garden tonight; HBO covered the event live. 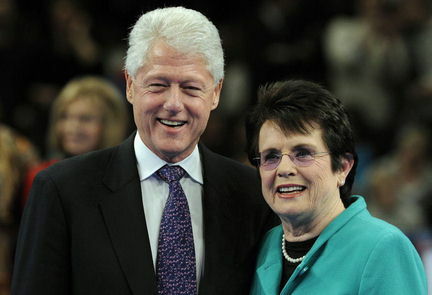 Former president Bill Clinton showed he still has a silver tongue, as he articulately delivered very warm words about the tennis and women's rights pioneer. No classes today, not because we got nearly a foot of snow overnight, but because the term is winding down and we started exams this morning. Since I am not giving an exam this winter, I am comfortably working from home this morning, wrapping up the squash tournament details from this past weekend and tackling some correspondence. Hopefully this storm is winter's last blast. Can't say I mind it, though, as the campus looks awfully pretty and I don't have any need to go outside right now! 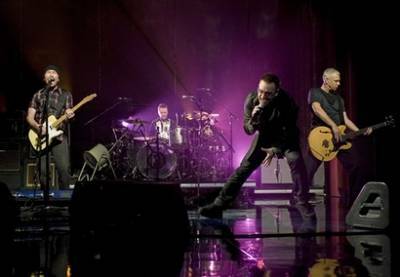 To promote the release of the band's new album--which I am downloading via iTunes while I sleep tonight--U2 is performing for five nights in a row on The Late Show on CBS. I just watched the first of the series and will record the rest of the week while I am traveling. "Where The Streets Have No Name"? Not today. 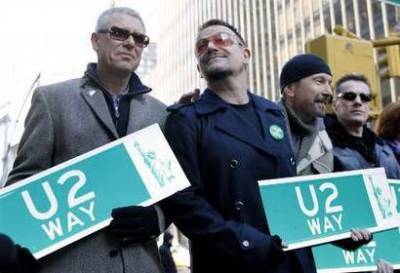 Mayor Bloomberg is giving a little bit of love to Ireland's most famous musical troubadors, as part of West 53rd Street was temporarily renamed "U2 Way" in honor of the band's release of No Line On The Horizon, which I've been listening to on and off since early this morning. 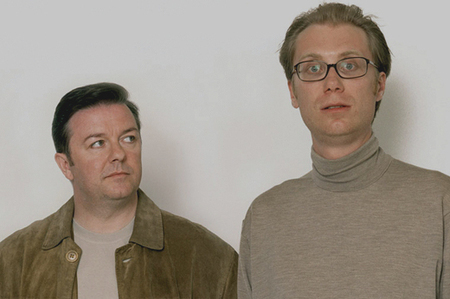 On the eve of our trip to Britain, a couple of squash players and I were enjoying YouTube clips from the Extras series starring Ricky Gervais. VERY funny stuff! Of course, now is not exactly the best time to be a banker, but I just spent a couple hours processing financial stuff in my office and it turns out I'm getting reimbursed to the tune of a couple thousand bucks for all sorts of expenses I've covered up front, including airfare and hotel costs for the U.K. squash tour, an overnight stay as a tournament director for the New England Championships, mileage for athletic director meetings, and athletic gear orders. I'm not complaining, because I get to rack up quite a lot of points on my personal credit card, and I've been able to more or less fly for free to places like Buenos Aires and Moscow by doing so! As always, right before heading off on a trip, my last day in town turns out to be incredibly productive, as there is a mad dash to whittle down my "to do" list while I am here. I've gotten a lot done already. I'll be able to take a few chores with me to tackle on my laptop. 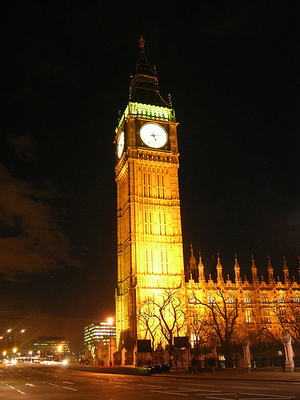 But I'll be pretty tightly scheduled during most days in England, driving the boys around, visiting various sights, and interacting with our hosts. So whatever I have to get done will likely be processed late at night, and then I will need to sort out Internet access to get my output where it needs to go. But I am looking forward to what should be a fun trip and will keep all you blog followers posted. After a very copacetic flight (lots of empty seats = ability to stretch out) and a cumbersome process of sorting out our vehicle rental, the four Choate Squash boys and I got on the road and visited Stonehenge before heading to Winchester for our third visit to the Wykehamists (who also came to Choate on a squash tour once). 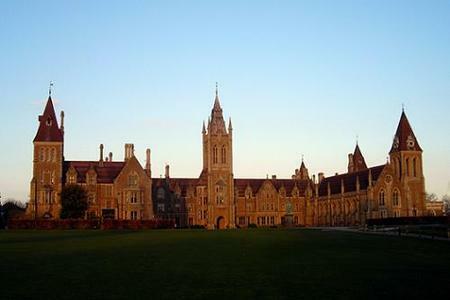 Winchester is the oldest--and some would say academically most prestigious--of the English "public schools." I joined members of both teams for pizza in town in the evening, where we celebrated Geoff Van's 17th birthday. Our touring party left Winchester in the morning and headed down to Portsmouth for a visit to the Royal Navy dockyards and a tour of H.M.S. Victory, Nelson's flagship at the Battle of Trafalgar in 1805. After some shopping in the outlet stores and a sumptuous lunch of Indian food, we made our way to Godalming and Charterhouse School, where we prevailed in a very competitive match. I enjoyed a dinner in town with my counterpart at a restaurant called Bel and The Dragon, which is situated in a converted church, making for a beautiful dining venue. We visited the All-England Club today to inspect the Wimbledon museum and take part in a behind-the-scenes tour of the club. Centre Court was not part of the tour, as the new roof is still under construction. I was also impressed by the new Court No. 2 being built where Court 13 (one of my favorites) used to sit. We have checked into our hotel in the Colliers Wood section of London and will take the Tube into central London this afternoon. My "under the weather" prediliction to rent movies via AppleTV continued today as I watched Pineapple Express, which was sort of--wait for it--dopey but generally inoffensive. I saw Religulous tonight while recuperating from this damned cold. 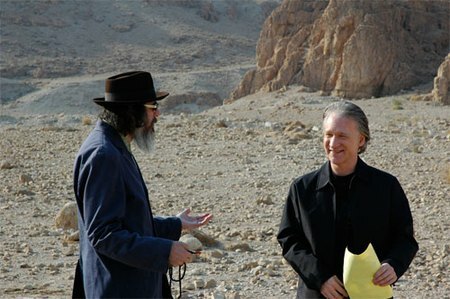 It's comedian Bill Maher traveling around the world to religious sites to expose what he regards the inanity of belief. It is a provocative little piece. This may be the geekiest thing I've done in a while: since I was feeling crappy, I got comfortable on my living room couch and booted up the documentary Helvetica on AppleTV. 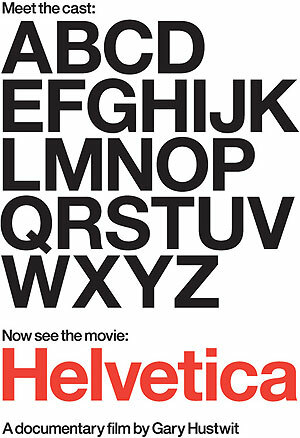 It's basically an exploration of a font, a typeface, that has become ubiquitous in modern life. As I've long been fascinated by typography and design I kind of enjoyed what a lot of people might find a mind-numbingly boring movie. It kind of amazes me that I woke up in one of the boarding houses this morning at Eton College and in the middle afternoon I find myself in my own home back in Connecticut. I am no stranger to jet travel, but this sort of thing still thrills me. The early start of Daylight Savings Time back here in America means the time difference was only 4 hours on the trip back. 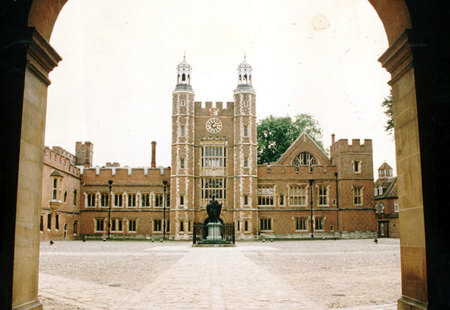 After a trip all the way back to our WImbledon hotel to retrieve a left watch, the boys and I visited Windsor this morning (but did not tour the Castle this time around) and spent most of the day with our hosts at Eton College. I forgot how big this school is: 1300 or so boys, nearly three times Choate's male enrollment. No wonder Eton can field (literally) 24 soccer teams! We had a nice tour of the College Chapel and ate lunch and dinner in the main dining hall before splitting up to sleep in two of the houses. We have an early departure time tomorrow in order to make it to Heathrow--fortunately pretty close by--for an 8:30 flight home. No new episode of Lost tonight. What with jet lag and all, I was fighting to stay awake to see a new installment, only to see last week's show hit the airwaves at 9 p.m. Off to bed then! Our touring party left Wimbledon this morning and made our way to Oxford, where I introduced the boys to real tennis (a.k.a. 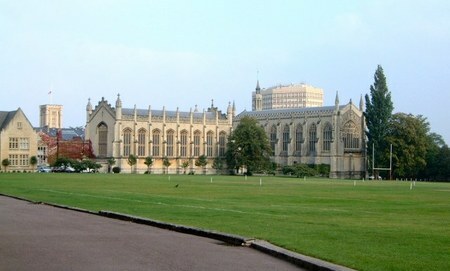 court tennis) at Merton College, my stomping grounds from last August. We then drove to Bath and settled into our hotel. 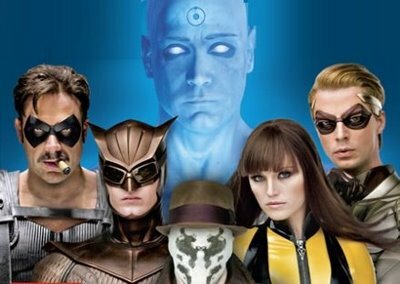 We had a terrific Thai dinner at Yum Yum Thai (where the 2005 group also ate) and then all saw Watchmen. I was nervous about seeing this: I read the comics when they first were released in 1986-1987 and have taught the graphic novel for about a decade now. But I was pretty pleased with the film. It couldn't possibly capture the nuances and detail of the printed work, but I thought it captured the spirit of it pretty well. Now Geoff Van and I will watch last Wednesday's episode of Lost, courtesy of iTunes. I chose the Holiday Inn Express in Wimbledon South to avoid taking the car into central London (and facing the congestion charge) and because the hotel rates were cheaper. My ace in the hole was the Colliers Wood Undergroung station literally right across the street. So just my luck that this part of the Northern Line was shut down for the weekend! Fortunately, there was a bus added to ferry us into the city. We cruised around Leicester Square and Piccadilly Circus for a while, ate at an overpriced steakhouse there, and then made our way to Trafalgar Square, the Houses of Parliament, and then along the Thames in a light rain before jumping back on the Tube and then on the bus to go back to the hotel. Even if the flights are more expensive, the convenience of Bradley Airport is looking more and more compelling all the time for domestic travel. Without the benefit of a DVR here, I can't time shift the shows I want to watch. But since it's vacation, I can park myself in front of the television tonight to catch Gossip Girl and 24. For bringing 13 boys down to train at Saddlebrook, the resort puts me up in style in my own condo. It was over 80 degrees when I arrived here this afternoon. I am looking forward to a week of warmth and scraping the rust off my tennis game. Where Is The Live Tennis Coverage? Tennis Channel offered coverage of the Indian Wells tournament--one of the most important stops on the men's and women's tours--over the weekend, so I got to see some matches at home on Saturday and down here in Florida yesterday. But as of today, the televised play switched over to Fox Sports Network, which we DON'T get here at Saddlebrook. Ugh! I miss the old ESPN wall-to-wall coverage of the Master Series events (yeah I know, they don't call them that anymore), but the folks in Bristol have trimmed tennis coverage back to just the Slams. So I guess I'll be able to see the final (Nadal vs. Federer, anyone?) at home Sunday afternoon. But nothing until then. Bummer. My bigger concern is that there seems to be renewed interest in the sport of pro tennis among the general public--mostly due to a couple of spectacular showdowns between the top two men in major finals recently--but it's disappointing that coverage of tour events like Indian Wells and Key Biscayne (as well as Davis Cup ties) has been relegated to second-tier cable networks with more limited market penetration. (The phenomenon of "narrowcasting" continues.) Hopefully the new leadership at the ATP can address this. Apple announced details of the forthcoming upgrade to the iPhone operating system. Version 3.0 will have cut, copy, and paste functionality (at last! ), background processing for apps, and better push technology, along with all sort of other "under the hood" improvements. Looking forward to it! 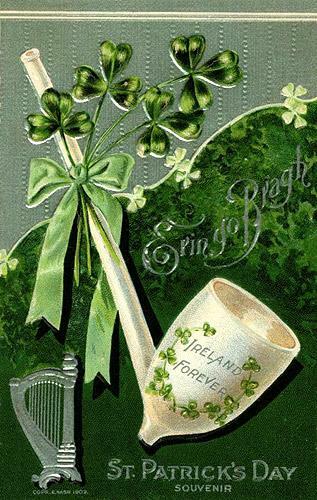 It's that special day once more for all of us of Irish descent and for everyone else who wishes they were. Happy St. Patrick's Day! I spent three hours on the tennis court this morning, drilling pretty intensely on clay. It's the hardest I've worked in a while. It felt great to get my strokes grooved again, but I am paying the price now, feeling pretty stiff and sore. Time to hit the jacuzzi! 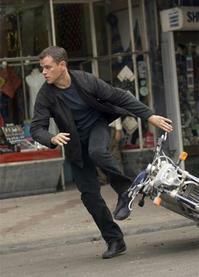 I revisited The Bourne Ultimatum on DVD over the course of the last two days: this is a really well-made flick. 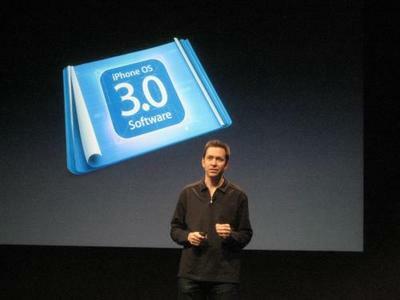 This afternoon I finished watching the streaming feed of Apple's presentation on the forthcoming iPhone 3.0 upgrade. Even without Steve Jobs at the helm, it was an impressive rundown of all the nifty new features that developers and consumers can look forward to in the months ahead. Apple keeps raising its game, with incremental but valuable improvements to its Mac, iPhone, and iPod lines. As The Beatles said, "I have to admit it's getting better . . . " Not a bad way to keep the fiercely loyal Apple fan base coming back for more! It's absolutely rejuvenating to spend a week in warmer climes at the end of winter, exercising pretty hard for a few hours each day and enjoying plenty of unstructured time to read, watch DVDs, sunbathe, or do not much of anything! This is restorative for the soul. I am realizing now, sitting here in the Tampa Airport Marriott, that all of my bags on this trip match. Nice to get free gear! 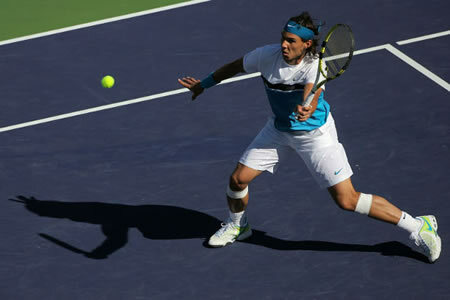 Rafael Nadal tore Andy Murray apart, 6-2, 6-1, in the final of the Indian Wells event today. The Spaniard continues to improve. He has now won the two biggest events of the year thus far and extended his dominance to hard courts--traditionally his weakest surface. 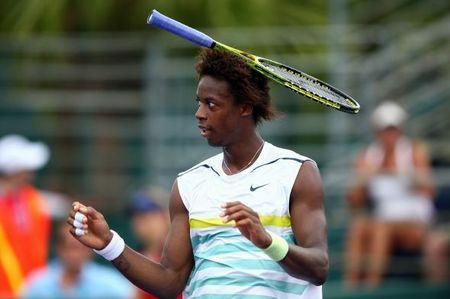 Moreover he defeated--convincingly is an understatement--the one top player he had not yet bested this year. Should Rafa win the next major tournament in Miami two weeks from now and then cruise through the European clay court season and Wimbledon like he did in 2008, he will likely have the year's #1 ranking sewn up in the first six months of the season! 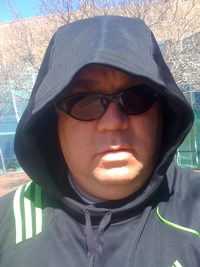 I was wearing this black hoodie while having lunch outdoors last week with a couple of team members when one of the asked me how the Clone Wars were going. Pretty good quip, that! Just finished another three-hour training session this morning, with lots of drilling and a bit of playing as well. It was pretty intense; I was dripping in sweat in the Florida heat before an enjoyable plunge in the pool afterward. Wish I could keep this schedule up all spring! Wow. Just watched the final two hours of the Battlestar Galactica series. (I missed Friday night's transmission since Saddlebrook did not get the SciFi channel, so I downloaded the HD version on iTunes when I got home this morning.) This was a very satisfying ending to an epic television series--one of the best-scripted shows in recent years. Not a perfect finale, nor one that answered all the questions raised by the series, but one that provided enough closure without getting too sappy (which would not have worked for such a show characterized by such darkness throughout the saga). I am still processing the conclusion and will have to watch parts of this again in the days to come. Too bad so many people never gave BSG a chance because the "science fiction" tag scared them away. Maybe this deserving show will find new adherents via DVDs and downloads in the years to come? I am here in the baggage claim of the Delta terminal at LaGuardia Airport, some 10-15 minutes after most of the passengers on my flight have retrieved their luggage and left, and I am still waiting for my checked bag to make its appearance on the carousel. Arrgghhh! Just saw Duplicity, sort of a cross between a thriller, a romantic comedy, and a caper flick. The film stars Julia Roberts and Clive Owen, who had some genuine chemistry together, and a strong supporting cast. It was written and directed by Tony Gilroy, who wrote the Bourne series of movies and wrote and directed Michael Clayton. Thumbs up for Duplicity. One of the good things about teaching term electives in a school on a trimester schedule is that three times a year I feel as if I am starting fresh all over again. My sense of repeated renewal is highly recommended. 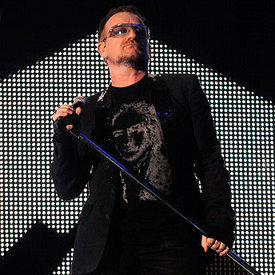 Got me some tickets to see U2 in Gillette Stadium in Foxborough, MA on Sunday, September 20. Sweet! I signed up to take a course at Yale this June and July, studying the history and tragedy plays of William Shakespeare a few afternoons a week down in New Haven. This will pretty much eliminate the possibility of the trip to Europe in June that I take most years, though I may try to fit in some long weekend jaunts a little closer to home. I just spent a week in England earlier this month and--if I get my act together in the next few days--plan to be in Paris for a weekend in May for the French Open tennis tournament. Moreover, I plan to be in the U.K. and possibly somewhere on the Continent for a couple weeks in August. 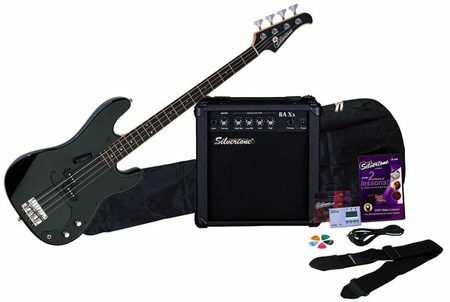 I ordered a bass guitar kit for just under $200, complete with a modest amp and a few accessories. I've thought about taking up the bass for quite a while now and this Silvertone model got strong reviews as a starter instrument. 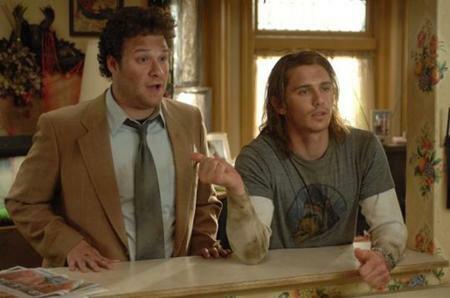 I Love You, Man is the funniest movie I've seen in quite a while. 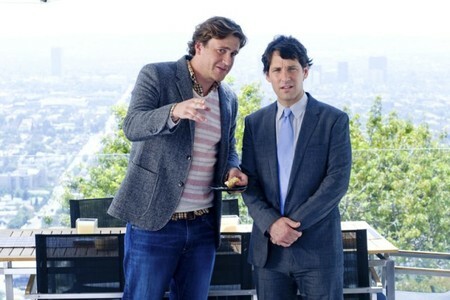 Paul Rudd is brilliantly awkward throughout the film as a guy about to be married who realizes he has no male friends. Enter Jason Segal as the man-child with whom Rudd's character begins to bond over Rush music and a few hilarious conversations. There were parts of this movie that had me howling with laughter. Today I picked up a 2-liter bottle of Diet Dr. Pepper Cherry . 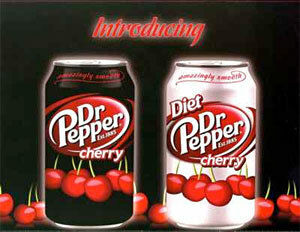 . . which puzzled me because I thought the Dr. Pepper flavor was sort of a black cherry kind of thing all along. Go figure. 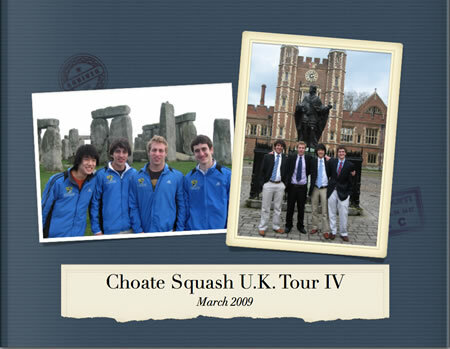 I created a photo book to commemorate the Choate Squash 2009 U.K. Tour using iPhoto. It was a breeze to layout the 20-page book using my digital photos, edit an accompanying map of our trip, and add some relevant text. The book, which arrived just over a week after I ordered it (which was almost as simple as pressing a button within iPhoto), came out looking pretty professional. The quality of the pictures in this format is stunning. 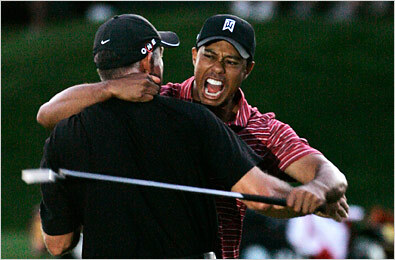 Hard not to be impressed by another display of 18th-hole heroics from Mr. Tiger Woods in his return to golf after major surgery kept him off the tour for the last months of the 2008 season and the beginning of 2009. Sinking a 15-foot birdie putt on the final hole is the sort of thing we come to expect from the sport's best player, I guess. It sure was a thrill to watch. 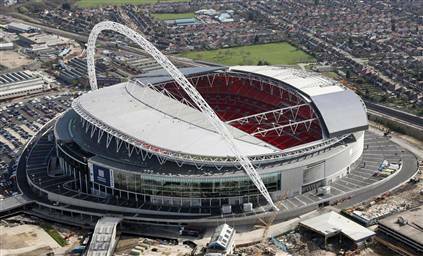 Since my course at Cambridge finishes earlier that day, I just booked a ticket to see U2 at Wembley Stadium outside London on August 15. Should be pretty cool to see my favorite band at this historic venue. Of course, the stadium has been rebuilt since then, but it was at Wembley in the summer of 1985 that U2 really arrived on the global stage with a Live Aid set that blew away a worldwide television audience. 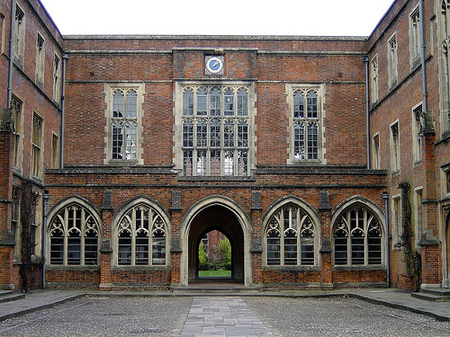 I sent in my paperwork this morning for a Shakespeare program at the University of Cambridge this summer, one which starts just after my Summer Programs commitments at Choate wrap up at the end of July. 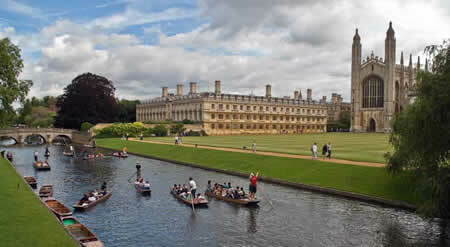 I am looking forward to spending a couple of weeks in Cambridge in August; I haven't been there since my very first trip to England in 1994. Tickets to the September 24 Giants Stadium stop on the U2 360° Tour went on sale at the stroke of ten o'clock this morning and I successfully navigated the Ticketmaster site to scoop up a few. I've seen U2 perform all over New England (e.g., Worcester, Boston, Hartford, Providence) since 1985 but have never seen the band in one of the New York venues, so I am looking forward to this show. Hopefully the set list will be a bit different from what will be played in the Foxborough concert I am seeing four days earlier. I know I have ranted about this in this space in the past, but I am majorly bummed whenever Connecticut Public Radio runs one of its on-air pledge drives. I get the importance of fund-raising, but the hectoring tone of the local hosts and the interruption of the normal news stories on Morning Edition--a show I've woken up to most of my entire adult life--really throws off my morning routine. I had to put up with the begging for money down in Florida during the last week of break, and if only I had been lucky enough to have missed the same thing up here. Back in the late 1980s and early 1990s, the pro tour schedule had the major tennis event in Key Biscayne, just off Miami, coinciding with spring break at school. So whenever our team was training in Florida--in Delray Beach or even as far away as the Tampa area--I could look forward to heading down to Miami for a day at this ATP/WTA combined event (which was called just "the Lipton" in its early history, after its title sponsor). No more. 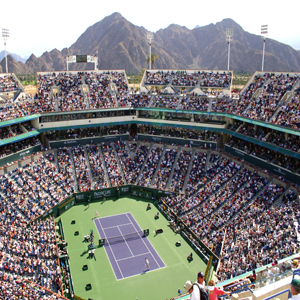 I miss the chance to see some great tennis in a great locale. 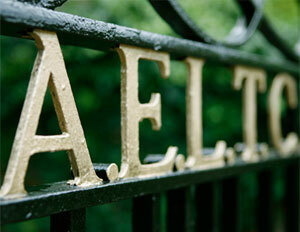 This page contains all entries posted to As Far As You Know in March 2009. They are listed from oldest to newest.